The Gates Foundation Discovery Center showcases projects aimed at improving lives globally. 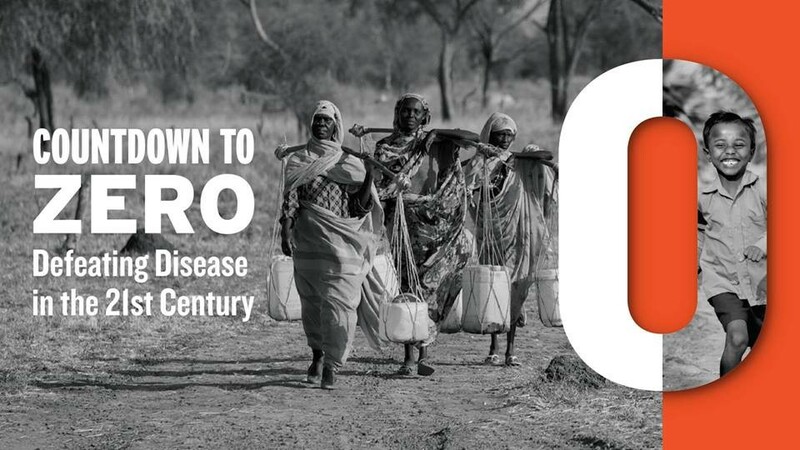 Countdown to Zero explores just what it takes to eradicate disease from the planet. Taking an in-depth look at Guinea Worm, Lymphatic Filariasis, Smallpox, Polio, River Blindness, VL and HAT, this exhibit demonstrates successes and challenges in this ongoing work. This powerful interactive exhibit, organized by the American Museum of Natural History in collaboration with The Carter Center, explores how the global community is working together to eliminate and eradicate diseases, and how visitors can help in the efforts to reach the last mile. The exhibit was modified from it's original version to fit in the Gates Foundation changing gallery. Graphic Production: Imagine Visual Services.